Labs spend a great deal of time evaluating purchasing decisions and how best to stretch their lab budget. There are many resources and strategies available to help lab managers streamline the procurement process and find the best deals on equipment and supplies. This article features a roundup of useful tips from lab professionals we reached out to on social media and additional resources to help you make the most of your lab dollars. The first step in the purchasing process is to identify whether you need to buy a piece of equipment. For major equipment needs, stay updated on the latest trends in technology and instrumentation that may be required to meet your business objectives or lab goals. For example, Don Newton, a clinical laboratory consultant, assesses equipment needs for the clinical lab based on the level of test volumes currently being used or outsourced and potential services that can be offered to meet customer needs. Another related equipment purchasing decision is whether to buy direct or to lease.1 Leasing, for example, may be a good option if the up-front capital investment is too much or the technology rapidly changes, requiring frequent upgrades.2 However, if a service is not needed often and/or it’s cheaper to do so, it may make the most business sense to outsource services to another lab (e.g., another member of a service delivery network) or use a shared lab space or a user facility that has the equipment you need. Likewise, with supplies, good lab management practices and systems can stretch your lab dollars even further. The use of a centralized inventory management and ordering system will give an accurate estimate of supply consumption, ensure timely reordering of supplies to avoid rush delivery charges, and enable the sharing of reagents and equipment among lab groups. 3,4 Olive Romero, an administrative lab director, mentioned on LinkedIn that continuous process improvement and standardization keep costs down by reducing wasted supplies and reagents. There are also a number of price comparison websites that can cross-reference products and aggregate pricing data. One new and free option is Lab Spend (labspend.com), which was developed by lab supplier P212121. The platform offers multiple ways to find the best price on lab supplies, including the ability to request quotes from over 100 vendors, a crossreferenced catalog of over 500,000 products, and a CAS-based search engine that compares prices from a database of more than 3,000,000 chemicals. Other features include spending analytics and the unique open-pricing module that visually displays the median, mean, and range of prices other labs have paid for over 5,000,000 products. Many of the lab professionals who commented on social media unanimously endorsed obtaining multiple quotes from different vendors, for both equipment and supplies, and using that information to leverage cost savings from competing vendors. By openly shopping around, they were able to get huge discounts and freebies too. This especially works if competition is high in your market area. It also pays to maintain good relationships with vendor representatives. When making purchasing decisions, you can ask for samples of consumables to try out, request in-house product demonstrations, or take samples to the vendor site for testing on equipment models. Also, stay updated on any upcoming or ongoing promotions. For example, some vendors may provide assistance with startup costs by offering special packages for new labs. Savings can also be obtained through group purchasing options. Check to see whether your institution has a blanket vendor discount or belongs to a group purchasing organization that offers vendor discounts and additional services (e.g., supply chain analysis).8 Newton further recommends partnering up with another lab or facility to purchase co-needed equipment, which may yield additional discounts in the bidding process. Other cost savings can be obtained by buying in bulk based on negotiated vendor discounts and saving on shipping costs. Nicole Paulk, assistant adjunct professor at the University of California, San Francisco, suggests talking to your department to see whether common reagents can be purchased in bulk for use across labs. But as Ruth Brock pointed out on LinkedIn, be sure that any consumables contracts don’t have a penalty for not meeting volume expectations. 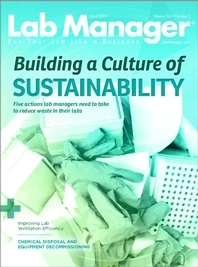 Erica Tennenhouse has published a number of related articles in Lab Manager that outline how to source used equipment and best practices for purchasing.9,10,11 Additionally, LabX Media Group, the parent company of Lab Manager, runs an online marketplace (e.g., auction, classifieds) for selling and buying lab equipment (www.labx.com).12 Also of note, Paulk suggested looking for startups and biotech companies that have gone out of business to see what equipment may be for sale. 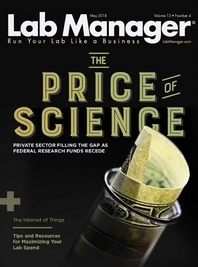 Getting creative in the lab also can yield cost savings in reagents and supplies. For example, check out this recent Lab Manager article for some simple lab hacks.13 Similarly, Alex Klenov of York University in Ontario, Canada, emphasized in a Reddit comment how much labs can save via DIY lab reagents and equipment, such as making your own DNA-polymerase batch for routine PCRs or buffers for DNA extractions. You can read more of Klenov’s tips on the Pipette Jockey blog (pipettejockey.com). And as an MLS lab supervisor pointed out on Reddit, “Companies often try to upsell you on buying their reagents and their cleaners when you can very cheaply make your own … Make sure to ask which reagents absolutely need to be used with the system and what the upkeep costs to reorder will be.” However, another medical lab professional warned that in some cases the use of unauthorized reagents may void a service agreement and make you liable for the cost of service, so be sure to check the details of the contract before using third party supplies.